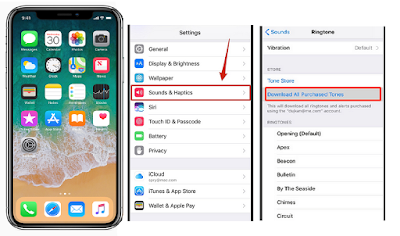 How Do I Get My Ringtones Back On My iPhone X - We knoe you purchased a ringtone from Apple and want to back it up in iTunes on new iPhone X. iOS 11 comes with iPhone X have a new ability to redownload any ringtones you purchased by your Apple ID on your old iPhone, learn below how to get ringtones back on your new Apple device with tutorial to resolve your problems. Welcome new iOS 11 in new iPhone X, iPhone 8 and iPhone 8 Plus. Today we try to restore ringtones on iPhone X using iOS 11 and this feature is not available on older iOS editions, so update iOS 11 first to redownload purchased ringtones on iPhone. 1) First time, please open the iPhone X Settings app. 2) Choose Sounds or Sounds and Haptics in the screen. 3) Then tap on any sound in the list. 4) To redownload purchased ringtones on iPhone X from iTunes they’re still available on the store, you should see the option labeled Download All Purchased Tones at the top. 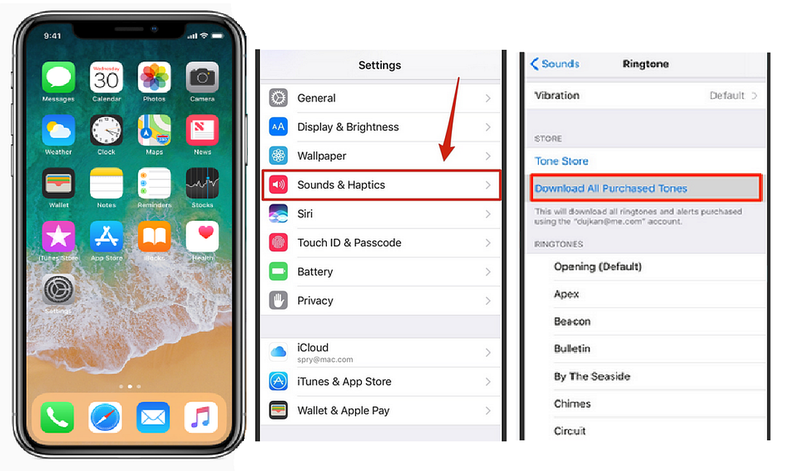 5) Tap Download All Purchased Tones and iOS 11 automatically redownload all ringtones and alert tones purchased from iTunes using your Apple ID account and make them available right away through Settings → Sounds & Haptics. Apple cautions that you might not be able to redownload best ringtones iPhones that you purchased before, which usually happens if the owner has pulled them from iTunes Store for whatever reason. Learn more how to move contents to iOS 11 from Android, iPhone to iPhone X.
Apple has brought about some major changes to desktop iTunes with the release of iTunes 12.7 for Mac and Windows. As a result, the ability to browse and download ringtones from iTunes Store is no longer available in the app. My friends said that downloaded ringtones iPhone X are not working for contacts. The only one that works is one that’s assigned to a specific contact. He selected as default for all my other contacts and doesn’t work. He hard reset iPhone and selected other ringtones then selected back and no luck. Finally to fix assigned ringtones not working on iPhone X, You have to unassign the ringtone, then reassign it. My friend just did it for all of contacts who have their own ringtones and it worked. 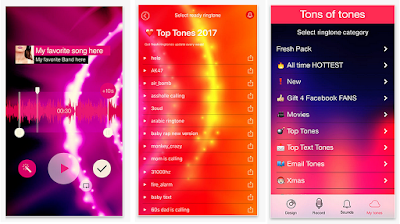 You can choose best ringtones iOS 11 to customize iPhone tone, text tone, new mail alert sound, calendar alerts and more, as well as set a ringtone or text tone for a specific contact to know who’s messaging or calling you even when an iPhone is in your pocket.